The Master Chief stands ready for battle. If you have read my other article "How Halo Reach killed Halo canon" then you know that Bungie's last game in the Halo universe did serious damage before that studio was replaced by 343 Industries stepped in to save the day. Let's recap how and why Halo: Reach killed canon before we discuss how Halo 4 saved the series. Timeline of the Battle of Reach: Halo Reach contradicted the established timeline and lore of the Battle of Reach. Instead of being a short battle over the course of a day it turned into a multi-month affair? Ridiculous. Superior technology: In the game Halo: Reach the covenant are shown to have technology greater than what they had during the Battle of Earth which was several months later. Not possible. Docked Pillar of Autumn and Cortana's role in the trilogy: In the game Halo: Reach the player retrieves Cortana, which contradicts the book because it is the Master Chief who is supposed to be the first human contact with Cortana. Also, we have a dry-docked Pillar of Autumn when we know that it was constructed in space. These are not all of the glaring plot holes from Halo: Reach, but enough for you to see why the universe was in trouble. Bungie was contradicting the books, comics, and web-media. They were causing the universe to spiral into ruin, but 343 Industries would change all of this with Halo 4. The Universe was salvaged and ultimately saved with Halo 4. Before the release I was worried that Microsoft was going to just sell out the Halo brand for copious amounts of cash. Thankfully, this didn't happen. Microsoft put Halo fans and enthusiasts in charge of 343 Industries and the game reflects that. Just to be clear this is not going to be recap of the game, but an explanation of how the game saved the story. In any video game the story is the most important element. If your game doesn't have story then it is soulless. Credit: Google ImagesThe Halo franchise has always connected books and video games. In the case of Bungie it was not done very well, but 343 Industries changed that. Before Halo 4 was even close to release a new book series was launched, written by Greg Bear, that details the Forerunner-Flood War. This war happened nearly 100,000 years before the events of the main Halo universe. When I first started reading these books, I had no idea that they would be connected to the games. 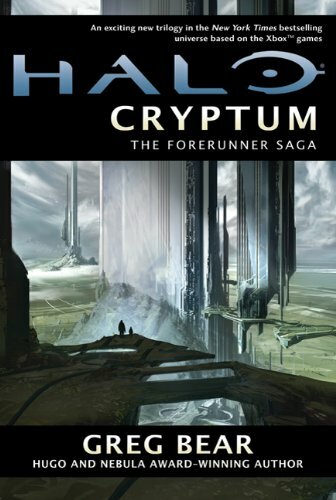 This was mainly because Halo: Reach had jaded me so much, but Halo 4 and it's supplementary media on Halo Waypoint go out of the way to connect the Forerunner book trilogy to the games. Essentially, in the past Bungie had ignored the books and as we saw with Halo: Reach just "retconed" them out of existance. This meant that the hard work that authors put into their art was either ignored or changed until it was unrecognizable by Bungie. My article "Halo Books: Canon or Not?" goes into detail about this subject and you should check it out above. However, this changed with Halo 4. The video game actually ties in events and characters from the novels written by Greg Bear, but before we discuss that let's just set the scene. If you played the game Halo 4 then you got to read the back story written by Greg Bear. 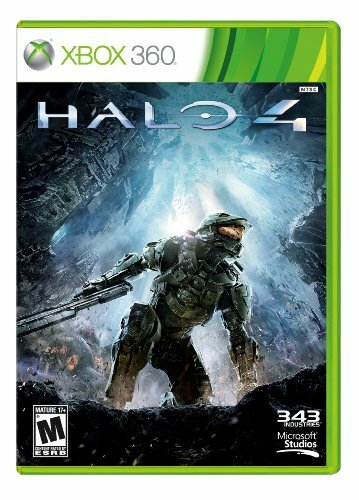 Halo 4 begins several years after the conclusion of Halo 3. The Human-Covenant War has reached it's conclusion and Earth was saved. However, Master Chief never made it home. He is still asleep in a cyro-pod floating through space on the derelict space vessel Forward Unto Dawn. Nearly five years later a salvage crew of ex-covenant soldiers rumage across Forward Unto Dawn and Cortana awakens the Master Chief. By this point Cortana has gone rampant. In the books this is a stage A.I. 's eventually reach and when they reach it they will go insane. Rampant A.I. 's are supposed to be destroyed, but as we saw in the books and games their is an undertone of a love connection between the Master Chief and Cortana. He decides to press on with her. They manage to make it to the surface where they discover that the Forerunners are very much alive or at least some part of their advanced culture is. This is when an advanced human spaceship called Infinity is sucked into Requiem. Requiem is a shield world which is another element from the books that 343 Industries has incorporated into the video game. Master Chief fights to the Infinity destroying forerunner constructs called Promethians. He learnes that a surviving forerunner known as the Didact controls the Promethians and views the humans as an abomination. This is because of a war the forerunners fought against the humans over one hundred and fifty thousand years ago. Another war which is detailed in Greg Bear's books. The Didact constructed a machine during the last days of the Forerunner-Flood War to compose the souls of the forerunner's into machines, however the process went wrong. Many of the souls were damaged so he decided to use it against surviving humans instead which make up the majority of the Promethians that we fight against on Requiem. Eventually, the Didact gains control of a dreadnaut space ship and jumps to Earth with the remains of a salvaging ex-covenant force to compose the population of Earth. It will take the Master Chief and Cortana everything they have to stop him. Now that we have set the scene with a plot synopsis from Halo 4 let's examine how the lore the game created saved the Halo franchise. 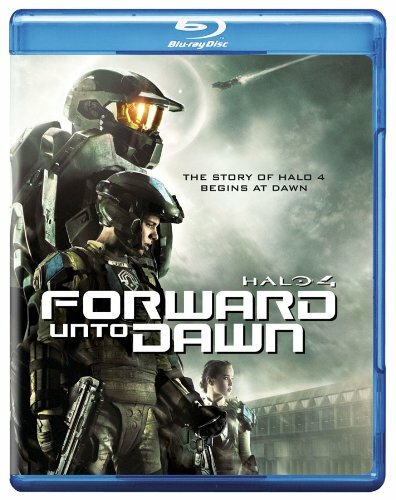 Watch the movie about several characters introduced in Halo 4 and one of Master Chief's first missions against the Covenant. Halo 4 did something that no Halo game in the franchise has done before it. It created a self-dependent universe. Halo 4 used a cast of characters created by Greg Bear to bolster the game. In the game we see several important characters from the Forerunner trilogy. The Librarian: A forerunner who tried to save remaining humans from the Didact and other elements of Forerunner society. The Didact: A ruthless Forerunner general who went insane fighting the Flood. The Infinity: An advanced human space ship introduced in the Kilo-5 novels and the film Forward Unto Dawn. Of course there were other elements from the books that were used in the video game, Halo 4. Let's examine those as well. The Composer: The composer was an advanced weapon that would transfer the soul of a person or organic object into a machine. 343 Guilty Sparks is actually the soul of a human who holds the thoughts of thousands of high ranking humans from the Human-Forerunner War. Shield Worlds: Shield Worlds were a concept developed in Eric Nylund's book, Ghost's of Onyx. Shield Worlds are further explained in Halo 4 and Spartan Operations. This means a book element was used as a major setting in Halo 4. Gene Tampering: In the Greg Bear novels we learn that the Librarian has tampered with Human genes to give them traits from past souls. This introduces the concept of reincarnation into the Halo universe. We learn that the Master Chief possesses one of these genes and that may explain his "luck". Halo 4 took the best elements from the film Forward Unto Dawn, the novels by Greg Bear, and Halo Waypoint to construct an amazing game that breathed fresh life into the franchise. Instead of selling out, Microsoft went all in, and the game shows it. It is important to remember that when you build a franchise you have to build subsequent outlets of media. This is something that Bungie failed at, but 343 Industries succeeded with. I recommend you check the game out, read the books, and watch the movie. After you do these three things tell me if you think Halo 4 saved the franchise or if it failed. Sound off in the comments section below and let me know. Buy the best Halo game since Halo 1 today. Next >> Top 5 Xbox Games to get this Christmas.